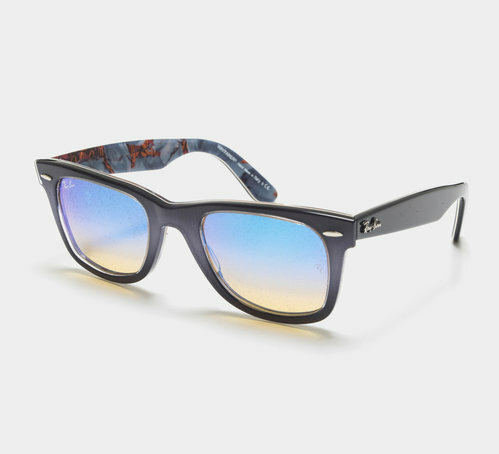 The Wayfarer Floral is in a class of its own. Keeping the iconic Ray-Ban shape, it’s made of premium acetate with a unique pattern and design. The Wayfarer Floral also features distinctive 3D rivets, complementing the look and feel of the exclusive material it’s made of. Get ready for red-carpet treatment.